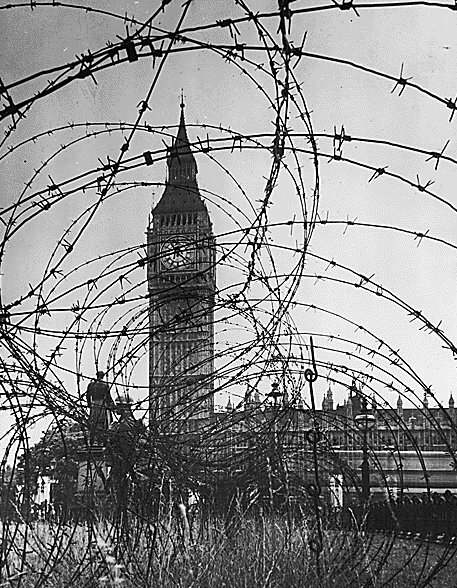 A view of Big Ben through barbed wire entanglement. 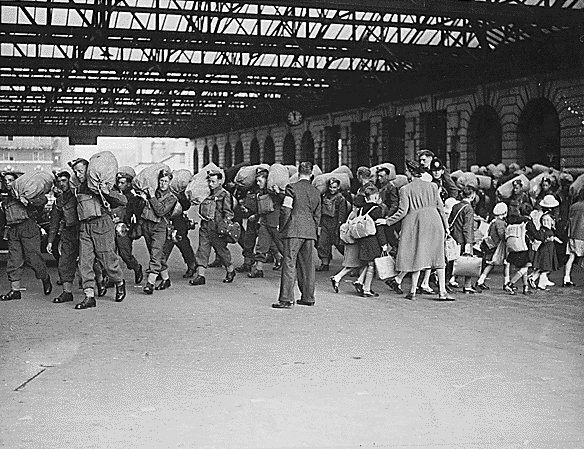 At a London railway station, arriving troops pass by children who are being evacuated to the countryside. 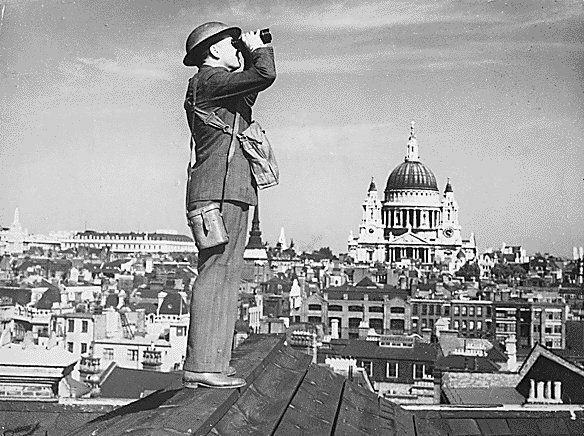 An aircraft spotter on the roof of a building in London with Saint Paul's Cathedral in the background. 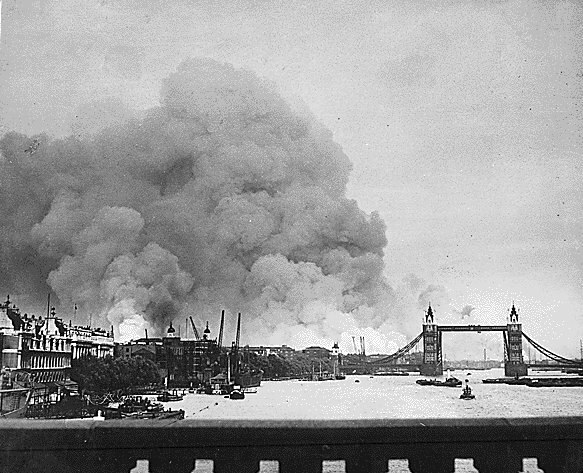 The first mass air raid on London, September 7 , 1940, showing the scene in London's dock area as Tower Bridge stands out against a background of smoke and fires. 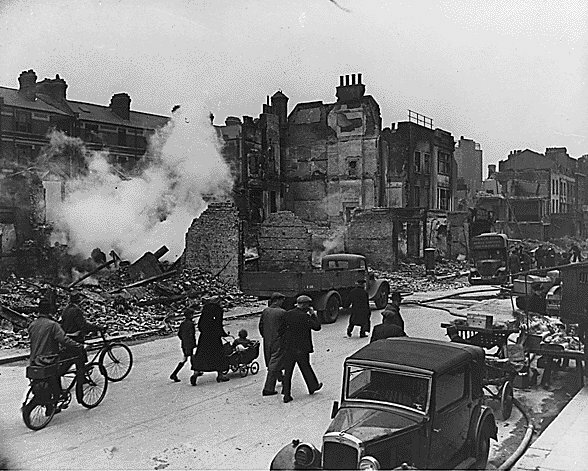 Firefighters at work in a bomb damaged street after a Saturday night raid in 1941. 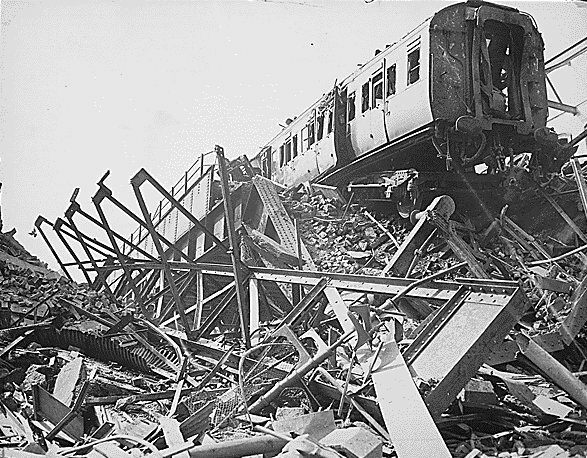 The London Necropolis Railway Station, a privately owned station in Westminster Bridge Road, after London's biggest night raid of the war. Daily life in a damaged residential neighborhood. 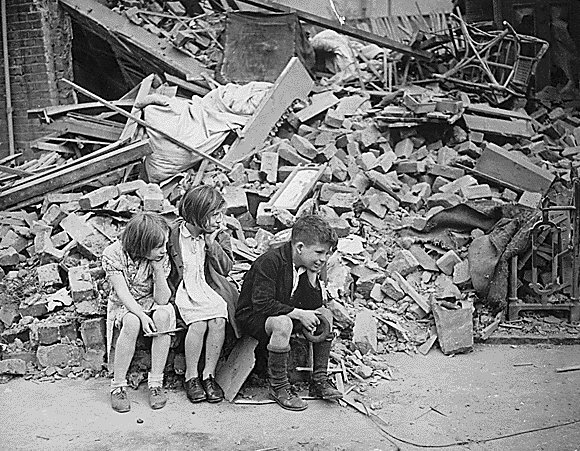 Three children who have been left homeless by the random bombs of German night raiders, sit outside the wreckage of their home. 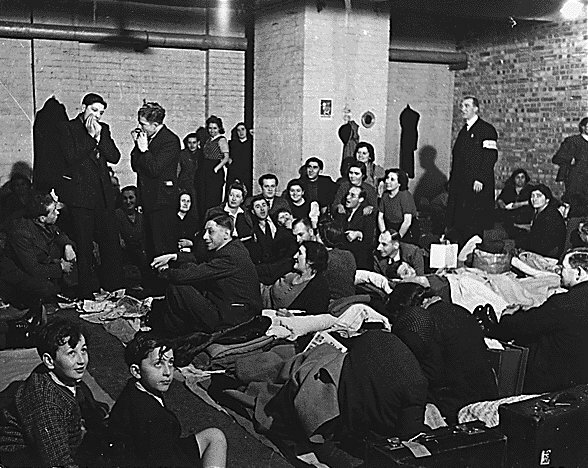 A crowded scene in a West End air raid shelter reveals people making the best of the situation including two young men playing the harmonica. 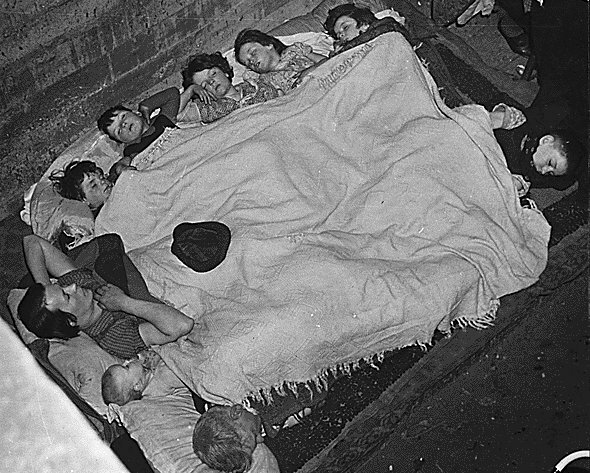 Snuggled together, trying to get a good night's sleep in a Southeast air raid shelter. 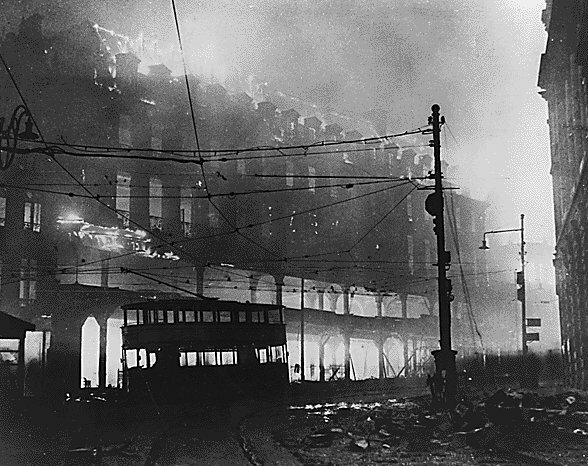 A double-decker tram silhouetted against the fire storm. 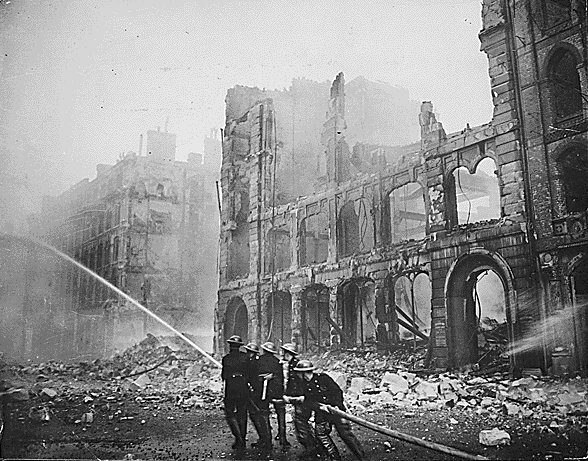 A stately old building completely wrecked after fire bombs and high explosives rained on the capital for many hours. 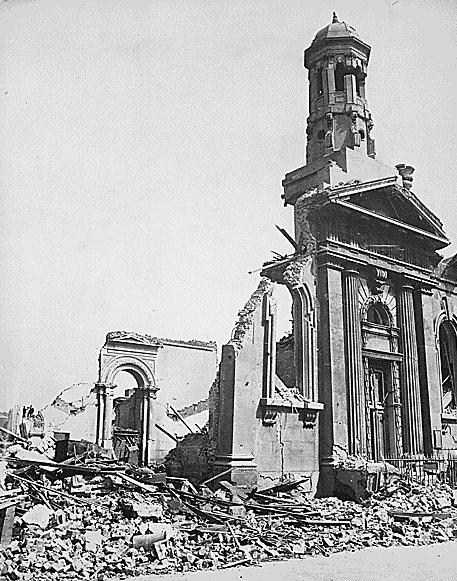 April, 1941.